Tuskers is the only pure vegetarian restaurant inside a Five star property in Mumbai. Located inside Sofitel in BKC Mumbai, the restaurant feels like a different world in the otherwise French themed Sofitel. However, the place has a certain charm to it which can be felt by both tourists and locals. 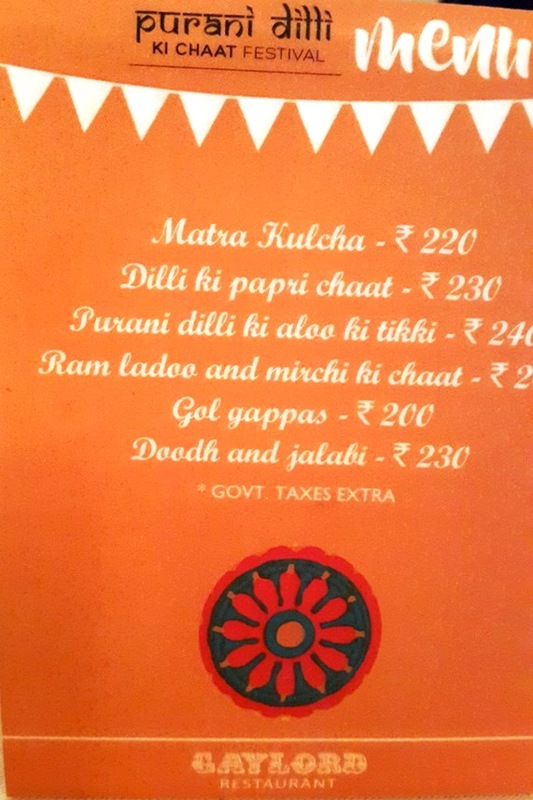 With no shortage of purely vegetarian places in Mumbai, one must wonder why Tuskers? The location immediately cuts out the noisy and undesirable crowd for one. The experience of veteran Chef Maharaja Jankidas Vaishnav (Lets call him MJV for now) is another thing. The man loves his job and when I found that he personally traveled to some of the most remote locales of India in search of new dishes for his new menu, I just had to sample his find. Beats traveling by back roads to rural places that I have never heard about. The set up was very typical of a fine dine inside a five star. Golden dimmed lights and fancy furniture were the first things to catch attention. Some faux elephant tusks in form of plastic decorations hung around the place. The kites visible in the picture were a temporary addition to observe the Kite festival. The basic set up reminded me very much of Artisan downstairs. Ratalo Ki Tikki were soft Ube (purple yam) cutlets. These were spicy, savory with a cornmeal like flavor. 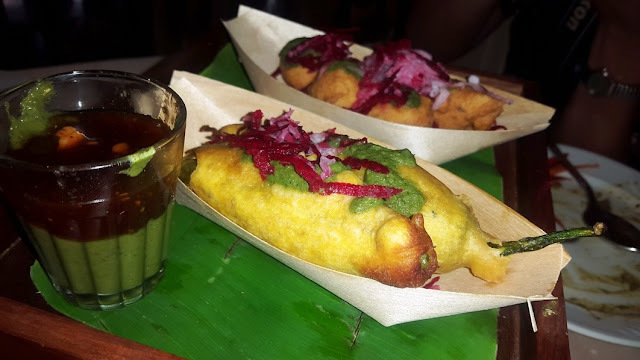 The dry texture was well complemented with the chutneys served along with it. 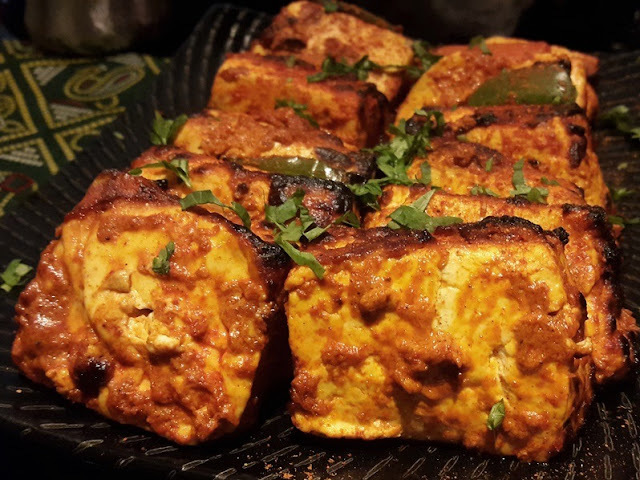 Mathania Mirch ka Paneer was paneer wrapped in a spicy chili mix sourced from the village of Mathania in Rajasthan. The flavor felt like a mix of tandoori paneer and a bit of Achari(pickled) flavor. I wouldn't say that is a bad thing but I did expect something unique out of this one. 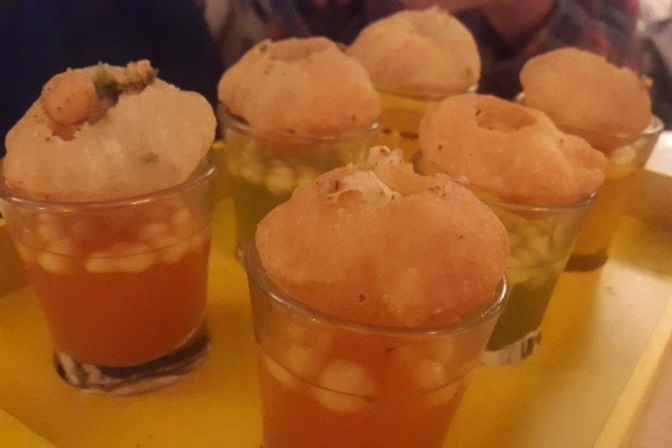 Pyaaz Kachori was definitely the highlight among the appetizers. Unlike most items on the menu which were rarely heard of, this was a well known item in North Indian locales. A flavor commonly found in Delhi and Jaipur. 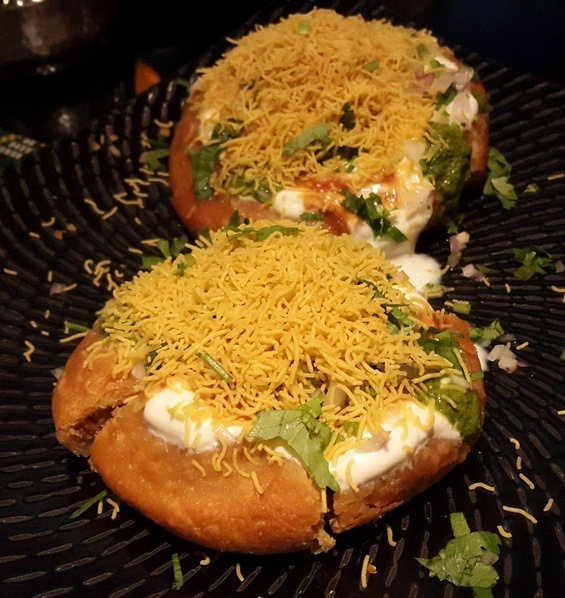 The Kachori was very savory with the flavors of sev, curd and chutney orchestrating a perfect harmony. Suwa Dal Wada tasted much like the regular Dal wada found in Mumbai. The addition of dill was unique and its dry texture was typical of the food made in the desert regions of Rajasthan and Gujarat. I however found this a little too salty for my liking. 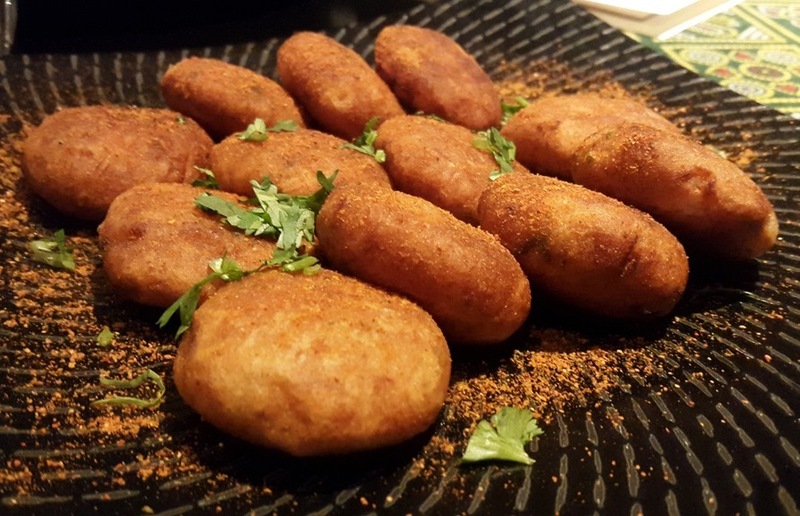 Sangri Ke Kofte were vegetable balls made of potato, spices and the treasure of the desert - Sangri. Sangri is a bean that grows in the arid regions of Rajasthan. 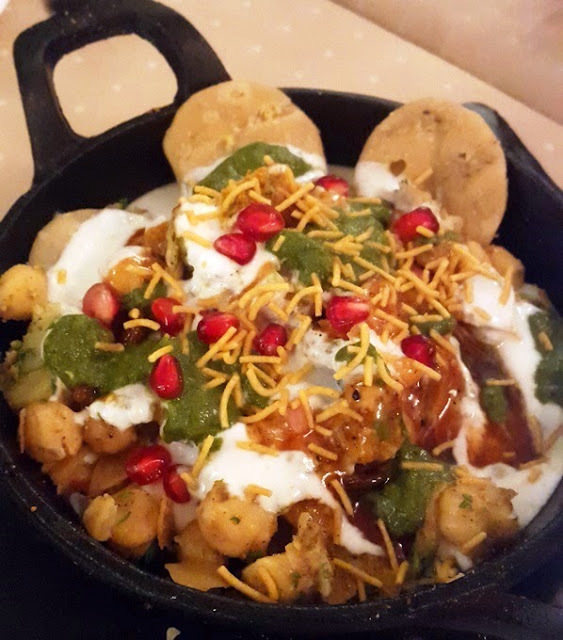 From being initiated into Rajasthani cuisine as a means to survive when no other vegetables were available to evolving as a top quality ingredient used to make wedding dishes. 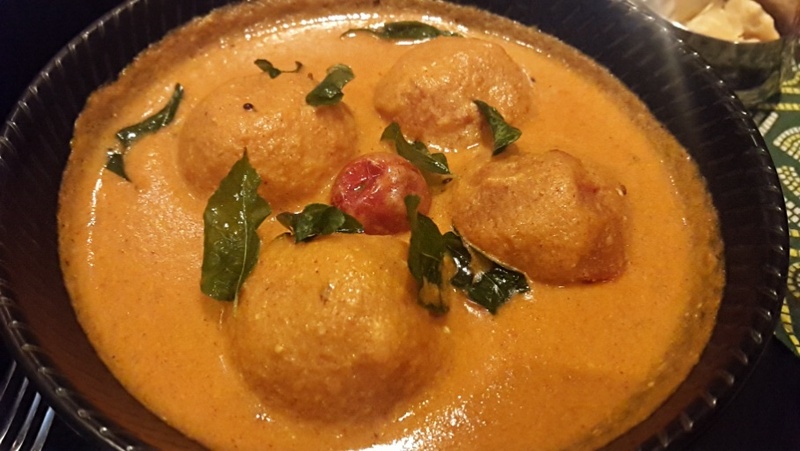 These soft Koftas were immersed in a gorgeous orange gravy made of cashew. The flavors were spicy, subtly pungent and a bit of fennel could also be felt. This dish cannot be found elsewhere. So if you are in Tuskers, this dish must be on your table. 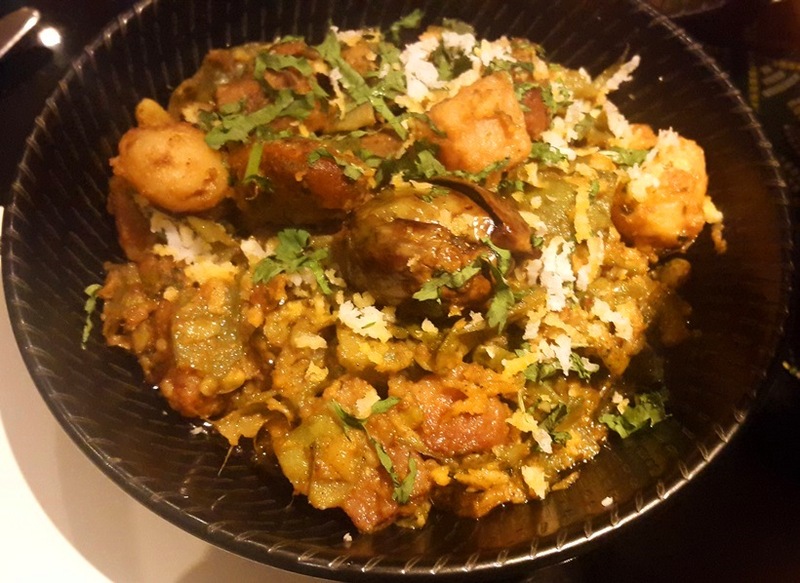 Suwa Palak chana Dal was a dish with very thick consistency. 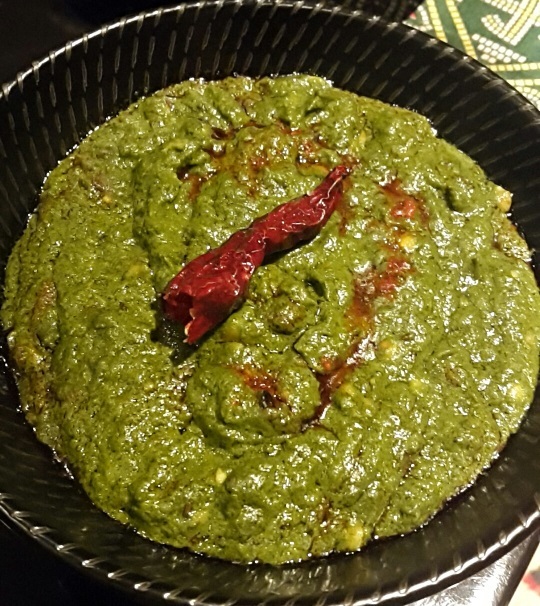 It was primarily made of Spinach(palak) and chana dal which made it rich and delicious. The flavor also had subtle hints of dill. 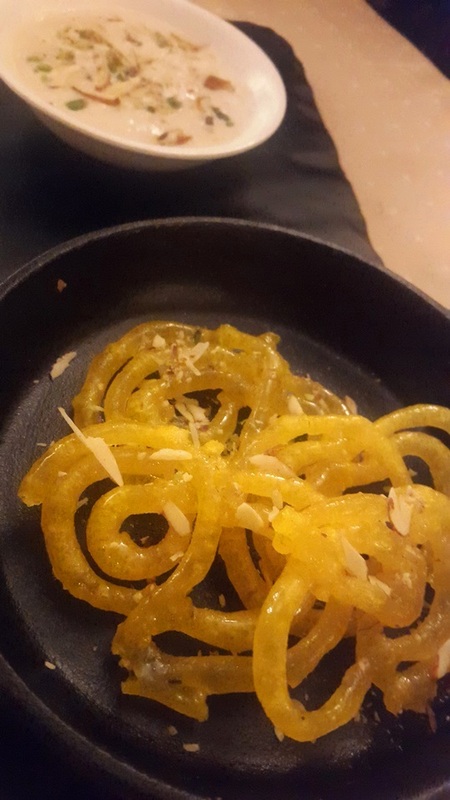 I have had Lentil soups (Dals) and Indian Spinach preparations before but this was something completely different from either. 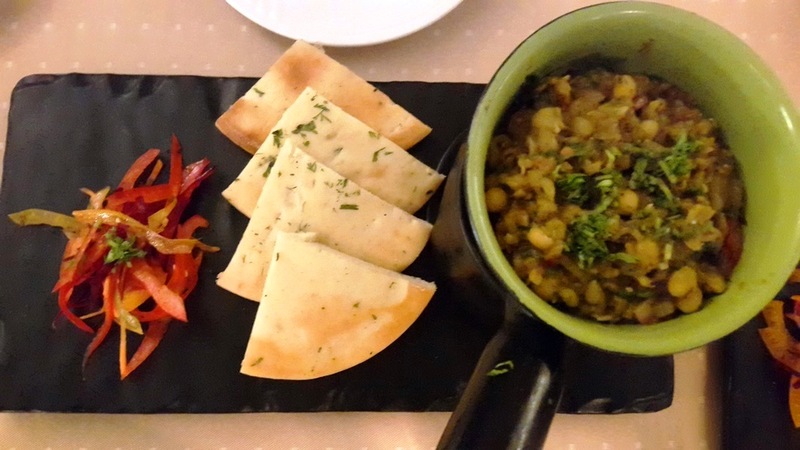 It felt very West Indian and I could feel myself transported to the rural Rajasthani - Gujarati locales. And for me, food that evokes memories or transports your senses to a place far away is absolutely the best. 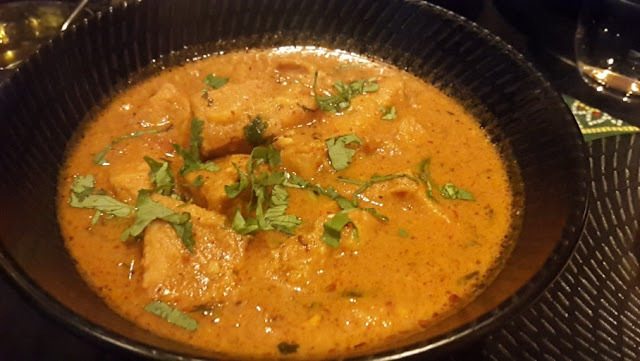 Rajwadi Dhokli is a take on Dal Dhokli which is basically chickpea dumplings immersed in a strong curd based curry. 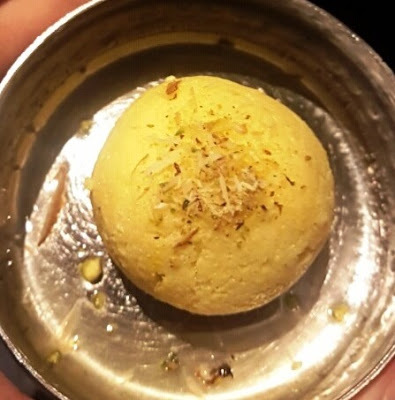 While it carried the pungency and the savory flavor of Dal Dhokli , this variation was quite salty which is typical of a desert dish. It went well with the served breads as the breads reduced the salty sensation. Kathiyawadi Undiyo is a colorful dish with a depth of flavors from the Saurashtra region located at the westernmost tip of India. India is a colorful tapestry of varied cultures and infinite culinary treasures and Undiyo itself has three different variations. This variant was full of pot cooked vegetables and spices. It carried the flavor of coastal Gujarat and the hot summers of Saurashtra. The dish is a vegetarian's delight with savory and spicy flavors. The aroma is very earthy and appetizing. Another must have dish from the new menu. 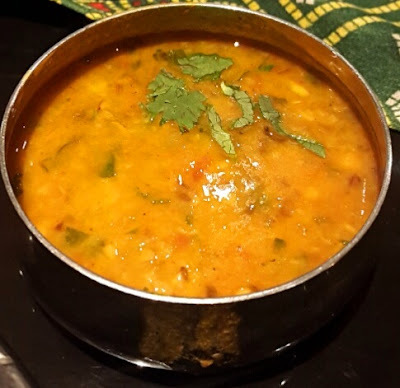 Dal Panchmel was a lentil soup made out of five different Dals(lentils) forming a flavor completely different from any of the five dals taken individually. 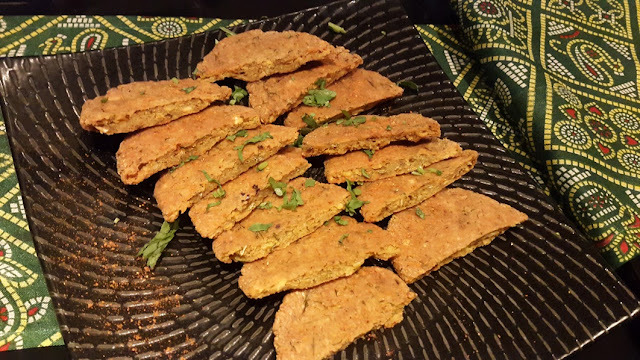 It was very similar to the popular Gujarati-Rajasthani lentil dish found in many restaurants known as Dal Paanch ratna. 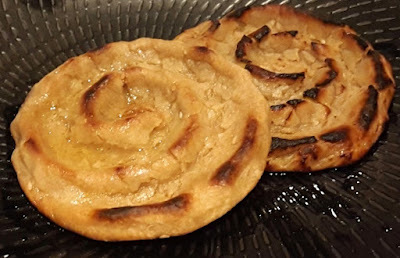 It went great with the Rajasthani Khoba rotis which were spiral breads with many indentations. The bread was more beautiful than what you see in the picture. The low light cloaked the texture in the picture. These breads are extremely rare and considered a luxury in today's times. It was a pleasant surprise to find these at Tuskers. I ended the meal with a Raj Bhog which is an improved version of Ras Gullas. These sponges were full of crushed dry fruits and were sweet and juicy inside. The experience was not much different from the Raj bhogs sold in Indian Mithai shops. Dry fruits were once considered a luxury afforded only by Royalty and nobility. Hence, its apt that its called Raj Bhog which literally translates to Royal delight. The service was professional and as this was a chef's table, Chef MJV also gave us a bit of wisdom about the origin of each dish. This is stuff one cannot google and formed the basis of this post as well. The pricing is typical of what is expected inside a five star Hotel. It is on the higher side but the restaurant has been popular with the local folks as well as the tourists residing in the Hotel. 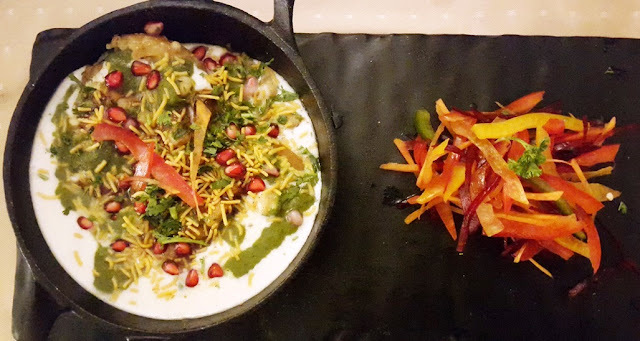 It is another one of the must visit places for any epicure in Mumbai. I will admit that I prefer non vegetarian food over vegetarian and quiet meals for two over a communal table full of bloggers. But the experience at Tusker's was on a level of its own. The grub was delicious and a delightful experience. 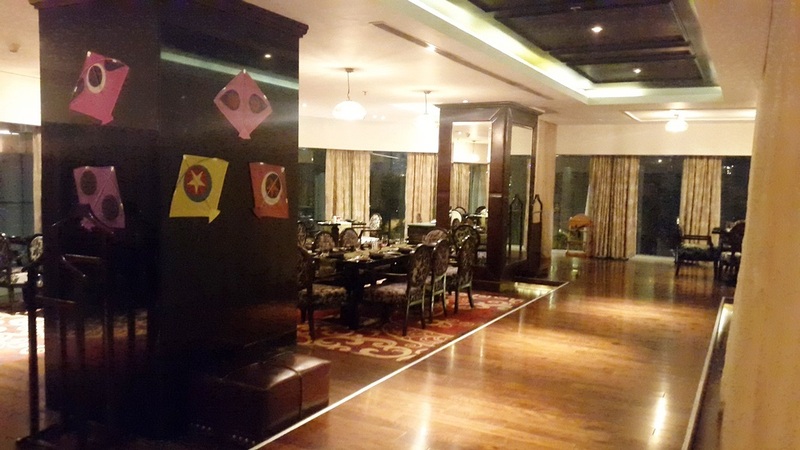 Have a taste of the finest food from Gujarat and Rajasthan at Tuskers.